First published on September 2010, Craft Revival Trust. These numbers should suffice to give policy makers a moment of pause – 135 lakh people, 70%, 6, 38,365 villages, 1000 clusters, 5000 years. In order they are, the hugh base of craftsperson’s and weavers, trained in skills that are learned outside the mainstream of the current educational system; over 70% of whom belong to the socially and economically deprived sections of our society; self employed and working across lakhs of villages, the second largest sector after agriculture in terms of employment; With over 1000 handloom and handicraft production centres spread throughout India; the sectors civilizational links that go back 5 millennia to ancient multi- cultural traditions and its continuing contemporary contribution not only as the wellspring of Indian creativity, but equally to rural economic development. Yet in reports, statements, conversations on policy and development this sector is notable for its absence. It is time now to come out of the shadow to build a path to development, equity and growth for this sector. 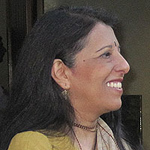 The focus of this paper is on a particular thought – the pushing the frontiers of mainstream education to include the methodologies of creativity and technical hand-skills – mainstreaming the traditional knowledge systems of Indian craft, inculcating it into the curriculum, equitably combining the intellectual with the hand-skills. The Indian craftsperson and weaver has till now belied all doomsday expectation, working persistently against difficult odds, combining entrepreneurial abilities, with technical virtuosity rooted in an in-depth understanding of materials and processes they continue to pursue their trade and create products that have marked our civilization and continue to do so till today. Across villages, hamlets, tribal swathes and urban fringes, in the most unlikely places indigenous and ancient technologies are preserved, orally handed down till today. The excavations at the Harrapan sites in the Indus Valley and at Mohenjodaro are evidence that the seeding of craft and weaving traditions had already developed root. This base then formed the blueprint of the start of a 5000 year journey that continues till today. Developing ways of thinking and seeing, distinguished by syncretism, marked by multi-cultural pluralism and oral instruction, craftspersons have managed to preserve traditions while continuously absorbing and assimilating new systems, ideas and trends. Over the millennia waves of migrating peoples, successions of rulers and empires; explorers and merchants, traders and priests moulded the craftsperson’s vision and helped define their enormous vocabulary of form, material and design, echoing and amalgamating ideas, customs and cultures. Further with the development of trade routes both maritime and over-land influencing the development of skills and creation of product offerings, styles and colours the Indian craftsperson manufactured products for a spectrum of consumers – from those located close to home as well as extending far flung to markets across the world. Crafts1 and craftspersons2 across India today, continue this journey. Their oral knowledge systems extend across a wide continuum of learning – from the extremely complex with an understanding of the principles of mathematics, physics, chemistry and engineering to those that are based on usage and observation of the surrounding eco-system and ecology, all centred around the fundamental principles of community knowledge systems developed over generations of study and practice. From the building of ocean going ships in Beypore in Kerala to the casting of the largest metal cauldrons in the world, from the making of paper from waste cotton in Jaipur and Pondicherry to the creation of dyes, colours and pigments from vegetable and organic material, from enamelling metal in Varanasi to the fusing of metal on to glass in Pratapgarh, the precise tying and dyeing of yarn and its subsequent calligraphic weaving of on the loom in Orissa to the making of metal yarns for embroidery in Lucknow are only a few examples as the variety of techniques and processes is enormous. The craftsperson’s mastery over their tools, using them in creative, inspired ways to change raw materials into three dimensional products. Tools usually locally produced, useing eco-friendly raw materials with a low wastage content, employing indigenous technological processes that include, to mention a few, smelting, weaving, beating, shaping, moulding, tempering, turning, varnishing, lacquering, twisting, welding, throwing forging, binding, dyeing, casting, tying, staining, soldering, embellishing, filigreeing, knotting, spinning, carving, plaiting, sculpting, painting etc. Working with a profound knowledge of these processes on materials as diverse as metal, wood, clay, stone, lac, wax, paper, glass, a range of grasses and fibres, bone and shell, leather, and textiles, each with enormous regional and individual variations within every group of specialization. The exhaustive understanding of material is based on usage and context, influenced by geography, historic traditions and cultural influences that are approached through a multitude of methodologies and processes. Skills and techniques, craft ritual and folklore are handed down through oral instruction and rigorous on-the job training, within and across generations. Taught through alternate knowledge transmission systems that do not form part of mainstream educational systems prevalent today, with no brick and mortar buildings, no text books or ink these specialized crafts and handlooms are hereditary specialties passed on from generation to generation within communities and families. The women of the Lambani community who embroider and quilt, the Prajapati community of Molela who mould clay plaques, the Moosaris of Kerala who cast the bell metal Charakku cooking utensils in diameters of up to 8 feet, the Patola yarn resist saris woven by members of the Salvi family in Patan characterised by mathematical precision in the multiple tying, dying and weaving, the Sthapatis of Swamimalia who cast the bronze idols, the Paneka community who weave the Pata sari, the Meghwals who turn wood and decorate it with lac are only some such examples. Mainly located in rural3 areas, the craft sector provides employment to many millions4 of people, an overwhelming majority of whom belong to the weaker, more vulnerable sections of society, being either Scheduled caste or tribe or belonging to minorities or to other backward classes. Craft production is widely dispersed across the length and breadth of the country, with the parallel coexistence of isolated individual family units, craft clusters, home/cottage industries, and small-scale and medium-scale enterprises. From rural hamlets outside the city of Banaras where brocade weaving is a home based activity involving family members to Bagh in Madhya Pradesh where the iconic block prints are produced in karkhanas with over a hundred persons employed, the lace makers of located in clusters in Warangal, the Kauna Phak reed mats weavers in the East district of Imphal to the painters of glass in Thanjavur, the carved and painted wood work of Gangtok, the tribal weavers of the Kotpad textile in Koraput, the community of Patachitra painters of Puri to Pethapur on the outskirts of Ahmedabad where seven families continue to treat the wood and carve the intricate blocks that form the basis of the hand block printed textile trade. The continuing encounters of the traditional crafts with the demands of modern, urban living have resulted in a juxtaposition of ancient technologies that are catering to a globalised world. These immense numbers of self-employed, self-organised, skilled craftspersons are the bearers of India’s traditional knowledge, the source of our creativity and keepers of our national cultural identity. Over the last few decades shifting dynamics have led to an erosion of livelihoods in the craft sector. The crisis in crafts has been ascribed to many reasons, not least being the disappearance of traditional markets with a dramatic shift in consumer choice from hand-crafted, woven goods to factory-made products. The customer base has shifted, with rural consumers accessing mill made products and high end urban customers being wooed by branded products. The economies of scale inherent to the factory sector result in the mass production of goods of uniform quality at prices unmatchable by craft people. Simultaneously, the availability of replicated and fake craft products that are marketed as handcrafted, hand-woven and traditional at far lower prices than the original has hit crafts people hard. Industrialisation has changed forever the social systems that controlled caste and community linkages to specific occupations. Likewise, globalization and urbanisation has made alternative career options accessible. With an educational system de-linked from traditional knowledge systems this sector has experienced a systematic dwindling of its skills and accomplishments and a devaluation of their learning that constituted the repositories of the craft knowledge systems. Crafting of objects and their associated technologies are often determined by geographical location to raw material. Materials were a local resource with skills evolving gradually and being handed down by families and communities. Economic growth has broken the link between sources of raw material and local communities, for instance cotton is no longer processed and woven in the areas in which is grown as it was in the past. Compounding the crisis is the lack of interest in the younger generation of craft families in continuing in craft practice due to perceived prejudices and inequalities of status. The underlying belief that information garnered from text books is superior to received oral knowledge has added to the problem. Globalization has brought in new influences and technologies, and increasingly rapid social transformations, the familial system of apprenticeship faces cracks and fissures without a suitable replacement in place. Urgent thought needs to be given to alternative formats for learning and training as we face a future of surging urban migration, issues of deskilling and unemployment. To meet the challenges of the 21st century any developmental initiative while seeking meaningful formats to work in will have to grapple with these baseline issues and a sustainable growth trajectory cannot be isolated from this larger context. It is hardly surprising that there are any number of debates around the appropriate path to development, equity and sustainability. This paper presents for discussion a particular focus – the deconstruction, codification and mainstreaming of the multi-dimensional oral traditional knowledge systems of craft practice into mainstream education, as an underlying premise for creating an enabling environment for the craft sector in India. What is critical at this point is to explore the issues that confront the process as it exists right now, and to evolve methods of thinking and ideating that make the process viable and meaningful. It is time to remedy the relative neglect of this aspect at a time when – despite the value of crafts being recognised world-wide –innumerable factors continue to endanger their very experience. First. At the outset, it is well-documented and proven that free and open access to information creates an environment that empowers individuals and societies; it is an instrument of constructive change a catalyst for introducing systematic and significant windows of opportunity. This could un-cage a sector where the range of learning and oral instruction covers areas as diverse as Thanka painting to Warli art, from the metal casting of temple gods to the creation of Dhokra work, from mask making to hand spinning, wood and stone carving, papier mache to glass blowing, the list is endless, all these practitioners would benefit from inclusion in the mainstream of knowledge as would the rest, equally if not in greater measure. Second, an accessible framework of institutions, training and research material is a necessary prerequisite for growth. For this knowledge to be effectively used it needs to be understood in all its forms and to be presented in a manner that is relevant to student. It must stimulate ideas and allow for new creative connections to be made. Connections that could provoke innovation and innovative uses of these Indigenous technologies that demonstrated inspired ways of morphing materials into products. The tools used in conjunction with these technologies, all locally manufactured, need to be reassessed and re-evaluated and for the knowledge to be effectively used both in the laboratory, as a teaching instrument and in a manner that is relevant to its appropriate use; for this we need additionally to develop programs to upgrade and improve the tools. The availability of an infrastructure of this kind works an effective mechanism for development, essentially as a means of removing bottlenecks to growth. Given the scale and potential of the sector, the absence of systematic training curriculum’s, and institutions that research, and provide the training, have been a major lacunae across the board and a considerable factor in why the sector has not taken its rightful place considering its considerable contribution to the economy in terms of employment but also its immense cultural significance. A third reason for this approach is that at a time when the rest of India is going through a phase of resurgence facilitated by the growth of the general economy, the effects of economic reform and benefits of the rapid spread of information technology all these have largely bypassed the craftsperson, creating a new form of deprivation and impoverishment for those with no access. Although techniques and skills are abundant they need to be understood in all their forms. Craftsperson’s themselves often remain isolated owing to their inability to access information and training. While we have this vast skill pool on the one hand, the flip side of the coin is the glaring lack of formal mainstream training and educational institutions available to nurture and grow these skills while simultaneously building a cadre of young professionals. This fissure in the system thus curtails the ability of craft communities to respond effectively within the contemporary matrix, in effect crippling those who suffer from the twin drawback of information deprivation and poor outreach. Fourth. There is an urgent need to research, analyse, categorise, and document craft traditions and developments as there is a very real danger of technologies and processes, motifs, designs and traditions dying out due to change, under use, or even the death of a specialised artisan or craft family/group. Moulding, shaping, weaving, forging, shaping are only some of the processes that India’s craftspersons have mastery over. Some seemingly simple yet classic, forming the backbone of technology to the interconnected and complex. Across the globe when we examine the seed source of modern manufacturing and technology you see the hands of a craftsperson – using the springboard of ancient technologies adapting and transforming them in innovative ways.The fact that many craft traditions are oral makes research and codification even more critical. In its absence of any documentation, oral traditions, once lost, can never be revived. It is a permanent loss. This cannot be overemphasised. The fifth reason for the use of knowledge-based interventions is that India’s education system has been touted as one of the critical factors in its economic rise. Juxtaposed alongside is the passing of the momentous Right to Education Bill in Parliament in 2009. With 50% of India’s population below the age of 25 and the projection that by 2020 the average age in India will be 29 it is critical that the system be prepared to meet the hugh demand for education. It is time now to inculcate craft know-how and training into the curricula with an equal emphasis on the intellectual, cerebral, the technical and the hand skills. To take a leaf from other countries – Japan supports rigorous training in over 200 traditional crafts; France has a Master Of Arts, Sweden runs National Folk craft institutions while Korea invest heavily in training the next generation. The United Kingdom incorporated the arts and crafts movement into the mainstream curriculum in the mid 19th Century to further power their Industrial Revolution. Though craft has moved ahead, not static or fossilised in time, all those who work in the area are aware that though change is constant its sheer speed and rapidity is resulting in fragmentation and disorientation of these long established synergies. The challenge ahead lies in designing frameworks that are sensitive to the sheer complexity of the sector. What is critical at this juncture is to explore the process and to evolve methodologies that contribute to making it a significant exercise. It would be necessary to start with a baseline documenting of community knowledge, traditionally transmitted orally, studying the process, its workings and its most notable features and then placing it in its mainstream curriculum context. 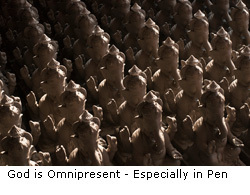 Collating the information on the raw materials and their processing, colours and motifs used the ritual or symbolic significance, techniques employed, values ascribed, the associated norms, perceptions and beliefs are some of these. Presenting not only the skills and techniques involved but the specific meanings of the form of expression, meanings derived from the local context in which the craftspersons operate and the purpose for which they produce. By analysing the pros and cons and key features with its qualities and characteristics including degrees of process accuracy we take the first steps in building and amalgamating its scientific principles. A small step in this direction has already been taken by the Craft Revival Trust to create an accessible knowledge infrastructure for the crafts. Making information available on craftspersons and on a wide variety of craft subjects. The process involves all the constituents while rooting the work in a development framework with the craftsperson at the centre of the exercise. The next step would be to build a theoretical framework that ‘legitimises’ and amalgamates the principles and concepts of oral, and local community knowledge of these eco-technologies of craft practice within the commonly accepted scientific and technological infrastructure. In effect researching the science that underlies the craftsperson’s arts. This knowledge, an intrinsic part of craft practice developed over the ages has responded and evolved to changing ecologies and environs. For instance the understanding of plant material by craftsperson’s to weave baskets, thatch homes, make furniture, build bridges, make music, create colour and a myriad other uses is only one such example. We need to apply scientific rigour to the study of processing of materials and techniques of craft production whether it be plant or metal, leather or clay, stone or wood by uncovering and studying the underlying principles at the heart of the technicalities of craft. Studying the parameters, creating benchmarks and applications, retaining the creative, while removing the subjective approach through a process of standardisation. This collaboration among scientists, technologists and the bearers of oral craft knowledge through application of stringent scientific principles to traditional hereditary knowledge to document concepts, principles, applications and practices could lead to a uniquely Indian knowledge system, creating networks and linkages both within and outside the sector giving India a global edge. Concurrently we need the introduction of craft technology study in the curricula of schools and colleges, recognising that the current lack of awareness is a form of deprivation for everyone of us. Re-recognizing indigenous technologies is a vital part of this process. This need has become even more immediate with the passing by Parliament in July 2009 of the Right to Education bill and the push to universalise access to education at the secondary level. Simultaneously, there has to be a move towards greater equity, a removal of barriers within academia and scientific and technological laboratories, which are weighted against the bearers of traditional craft knowledge for a more equitable, even-handed inclusive education. Moving beyond tokenism to create substantive change through institutional development, formation of indigenous technology laboratories, the endowment of Chairs in Universities to bearers of traditional knowledge to the awarding of honorary doctorates, as for instance in 2003 De’MontFort University, Leicester, UK recognised the master Ajrak hand block printer and natural dye revivalist, Ismail Khatri by awarding him an Honorary Doctorate. Thereby creating a movement and an environment that stimulates ideas that allow for new creative constructs to be built and make connections that could provoke the use of appropriate technologies in manufacturing. With steady economic development and a 9% rate of growth has come increased prosperity, but we as a nation cannot forge ahead unless we push the boundaries of education policy in an equitable and inclusive way. It will require a concerted and sustained effort to ensure that this essential part of our cultural fabric and these keepers of our traditional knowledge are nurtured and take their rightful place for the next millennia. The future depends on how we tackle this massive skilled human resource whether we build to our advantage or let it all be frittered away. The term ‘craft’ has been used in a generic manner to include the hand crafted and hand woven, inclusive of pre and post loom work and pre and post craft work. The term craftsperson has been used generically to cover weavers, artisans, pre and post loom work and pre and post craft work. Official government statistics estimate that over 135 lakh people are engaged in this sector – 65.51 lakh in handlooms and 70 lakh persons in handicrafts. This article has been inspired by the thought-provoking and well researched essay titled ‘Coming out of the Shadow…’ by Ritu Sethi (Chairperson, Craft Revival Trust). The essay talks about the imminent need for ‘deconstructing and codifying traditional indigenous knowledge of craft practice into mainstream education’. The purpose of this short note is to add to the above article and suggest a possible solution framework with the liberty of a dreamer. Though a Craft enthusiast associated with Indian handicrafts for over a couple of years and an ardent admirer of beautiful handmade products, I have not had the chance to work closely with any craftsman, to watch how (s)he transforms ordinary materials to icons of beauty. This makes me an ‘outsider’, one who may be ill-equipped to comment on such complex issues. The ignorance of the complexities associated with the craftsmen lives and the challenges of implementing artisan development programs may make this hypothesis weak; however I shall be bold enough to present this for criticism. The proposed framework has several elements that need to work together and complement each other’s functions. Mandated high school education in all crafts villagesAll crafts villages or clusters of them should be provided – if not already present – with schools equipped to teach until the 12th grade. From middle or high school level, these schools should dedicate a part of their time for formally providing craft education by the local master craftsman. This provision for craft education within the formal school infrastructure might add more legitimacy to the process and encourage the young to embrace their traditional skills with more passion. The knowledge gained through the regular education, the ability to read/write and connect to the rest of the world through the use of latest technologies, will empower these young craftsmen to nurture their craft in the backdrop of changing economic and cultural demands.The chief issues, as suggested by Ms. Ritu Sethi in her paper – the lack of access to information for these craftsmen and their exemption from economic growth – might be partly addressed by this provision. State of the Art Centres for “Craft Degrees” and ResearchLike the esteemed ‘Kalakshetras’, ‘Kalamandalams’ and Schools of Music, we need to have well equipped state of the art centres for imparting a formal graduate course in Arts and Crafts culminating in the award of a ‘Bachelor of Arts in (Traditional) Craft Design’ degree . The centres should have prominent artists, designers and the social workers/guides from the craft community as the mentors. Traditional craftsmen should be part of their teaching faculty along with professors from the mainstream Design and Fashion institutes.These centres should be provided wih Research departments that can concentrate on studying, documenting and providing scientific legitimisation for traditional crafts. Their study should pave the way for modernizing the traditional techniques and evolving them for modern challenges and needs.Another option maybe to coach and guide the bright students from the rural crafts community to continue their education in the established centres for design – NID, NIFT etc. These centres could probably be encouraged to allot part of their reserved quota for the traditional craftsmen community in courses pertaining to crafts and accessory design. This kind of formalisation of Traditional Crafts as a viable career path with job opportunities in the academic field and industry should encourage rural artisan communities to keep their priceless tradition alive. On the other hand, it should also encourage passionate students from the urban areas to embrace our rich tradition and keep it alive in the modern context. Industry intervention and guidance for Craft Research centresThe success of degrees specialising in Craft and the research centres lies in its ability to work closely with the industry and global trends. Having experienced artists, designers and experts from the Craft field as mentors, visiting faculty and academic reviewers would help in this context. Experts from the academic field – experienced professors from institutes like NID and NIFT – must be brought in to establish such centres and give them the necessary focus and direction. As a start, we probably need to identify and adopt couple of rural crafts communities. We should first encourage few of their young craftsmen to complete their school education and later coach and equip them to continue a formal course in crafts design. It would be interesting and informative to watch and assess how education, access to information and awareness of global economic trends will enable these young artists to think and create in a new space…It is not going to be an easy path, but if we are committed enough to observe the results and correct our course where required, we would soon hit the path of change – a change towards revival of indian crafts and craftsmen.